Sam Krystosek is a native of Royalton, Minnesota. He received his Bachelor of Arts degree in communication from Saint John’s University (MN) in 2007. While at SJU, Sam competed as a member of the track and field team, worked as a media relations assistant for the athletic department, and studied abroad in Rome, Florence, and Munich in Summer 2006 and in Galway in Fall 2006. Sam continued his education at Xavier University in Cincinnati and earned a master’s degree in athletic administration in 2009. Upon graduating from Xavier, Sam served in the U.S. Army as an Infantry Officer for three years, primarily at Fort Benning, Georgia, where he worked as a company executive officer for the U.S. Army Airborne School and the 1-19 Infantry Battalion. 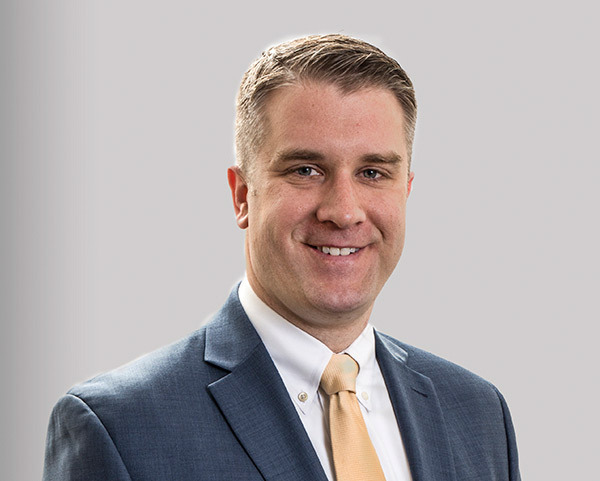 After leaving the military, Sam attended law school at the University of South Dakota and received his Juris Doctor degree in May 2016. During law school, Sam competed in multiple tournaments nationwide as a member of both the Moot Court Board and Trial Advocacy Board. Sam served as a law clerk for the judges of South Dakota’s Third Judicial Circuit after graduating from law school. He joined the firm as an associate after completing his clerkship in 2017.